When it comes to cup noodles here in Japan, I'm often a little wary of new flavors. I’m not a big fan of seafood, and so many varieties seem to be seafood based. I also don’t like egg, and egg is commonly used as one of the “topping” ingredients intermixed with the seasoning. 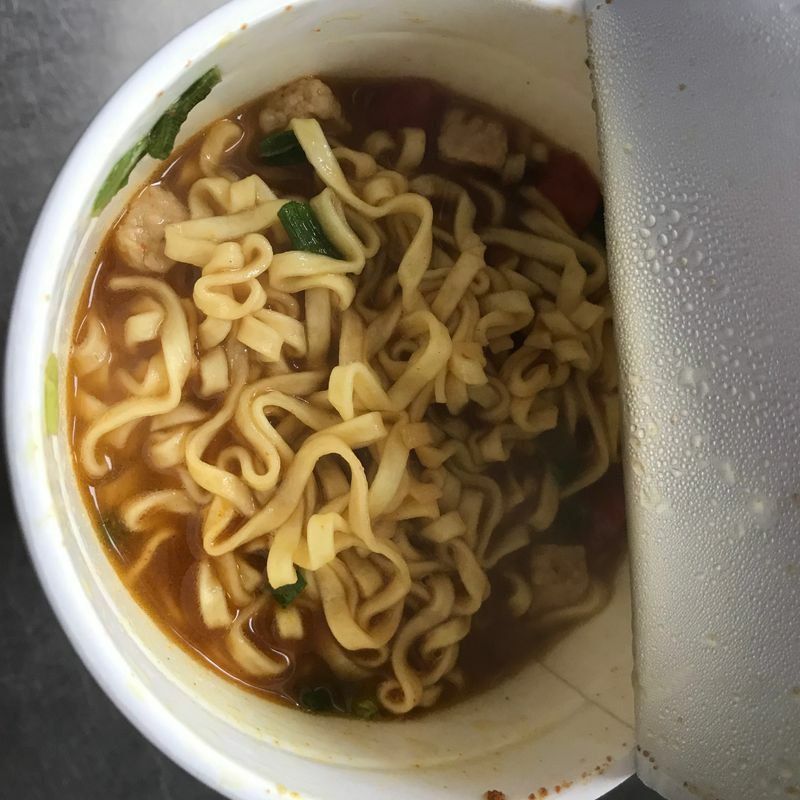 I was enthused then, when I saw a new offering on the shelf at my local supermarket - a spice curry cup noodle. Now you’re talkin’, Nissin. 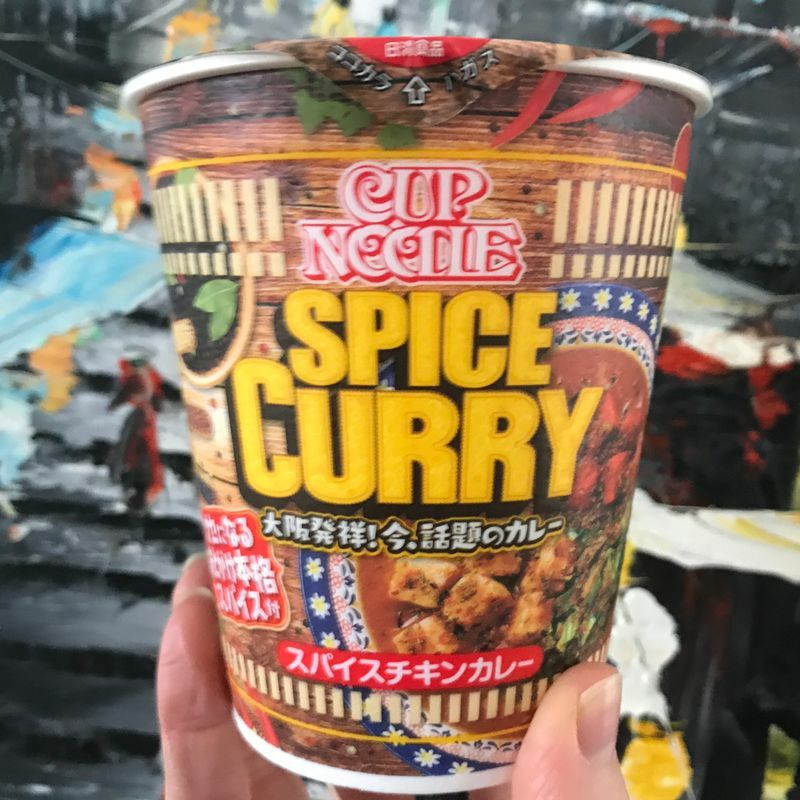 Sadly, from what I could find out about this online, it was a limited edition product released to coincide with a curry day celebrated in Osaka back in January. Maybe they didn’t sell too well, which is why I found them in my supermarket now in April - but I want to go back and clear the shelves! These may be my favorite cup noodle ever. 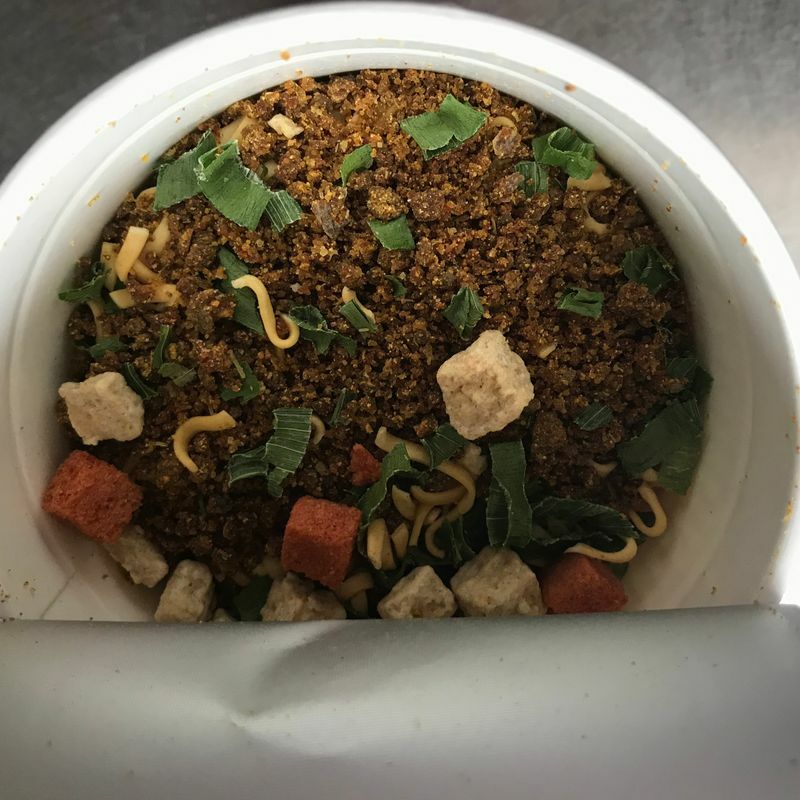 My regular cup noodle of choice is Chili tomato, and these spice curry ones had a definite tomato vibe to them - just throw in some more “curry-ish” flavors to the mix, like cumin. There were also good sized pieces of chicken in there too. If you do find these bad boys near you, pick up several if you are a fan of chili tomato cup noodles and curry flavors. These cup noodles were the best of both worlds to me! Hard to make a cup noodle look photogenic - but these were so delicious!